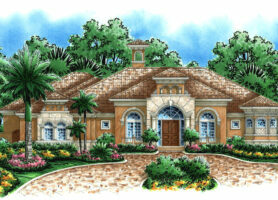 Courtyard house plans offer a nice blend of indoor and outdoor living. 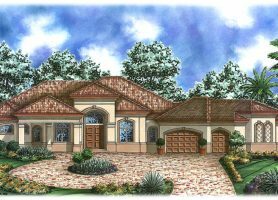 The beach home and coastal Mediterranean style floor plans often have an attached bedroom and bath separate from the main house, sometimes called a cabana, which invites privacy to overnight guests and family members. 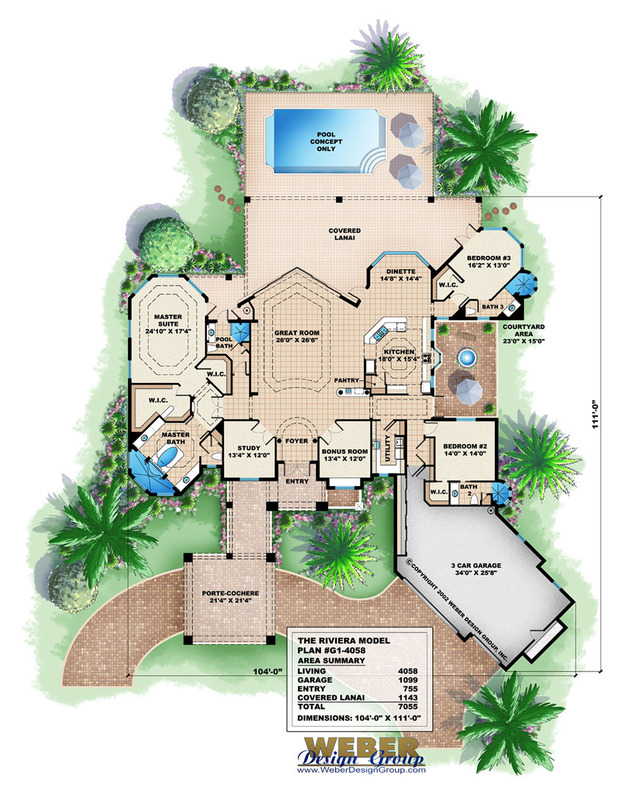 These luxury house plans are set up so that the main rooms open out to a courtyard. 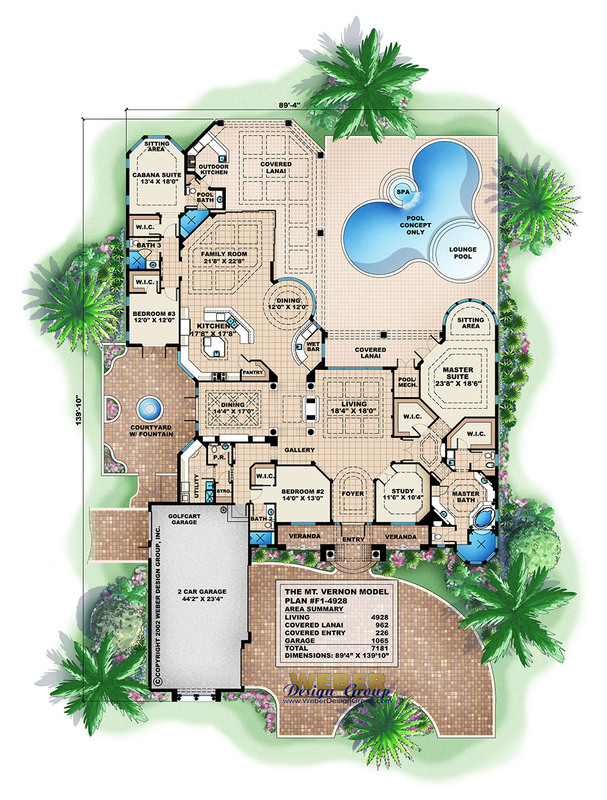 Walls of glass, windows and a tropical setting with a pool can further define the private area. 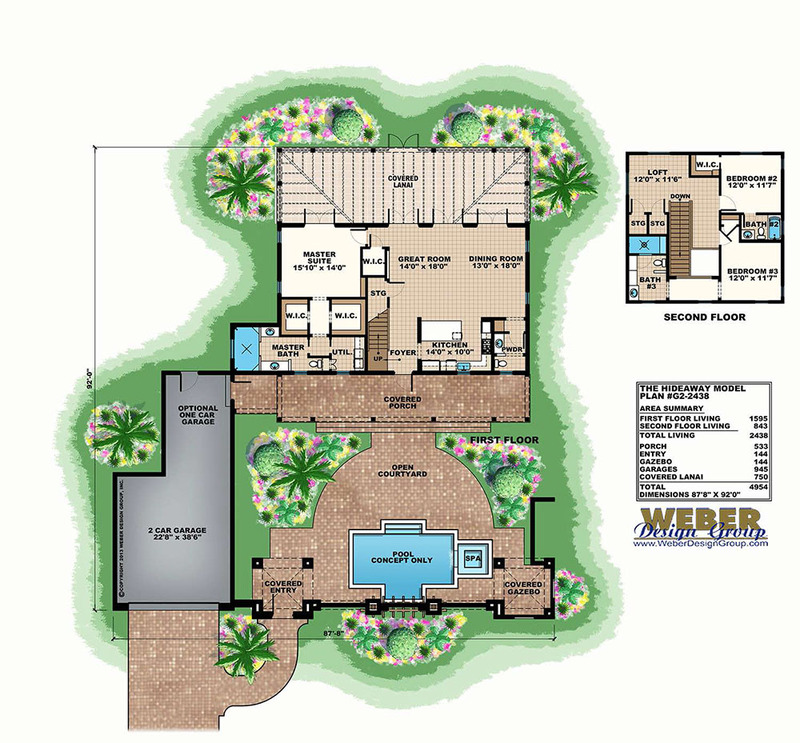 A courtyard house plan is a great way to make up for a lackluster view by allowing you to create your own “utopia” within the courtyard.